Our top-quality Flat Sash Paint brushes are manufactured with pure bristle, nickel ferrule and a long, flat handle. 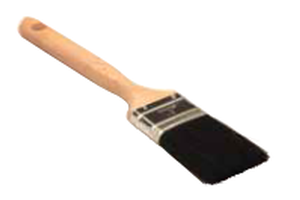 We have eight standard Flat Sash Paint brushes available with options in size, width, trim length and overall length. These brushes are best used in high-quality industrial paint jobs. They are designed for a one-coat finish. Other uses include general painting and cleaning applications where a disposable paint brush is desired.